Want to learn how to make a video about interesting vegan facts that subversively gives the vegan movement a kick in its collective gonads?! [tweet this] Great! Let’s get started! We're going to study a video called “Top 5 Vegan Facts” recently released by WatchMojo, the 7th largest YouTube channel with over 10 million subscribers. [tweet this] So, how did they successfully make a deliciously subversive anti-vegan video out of an innocuous-sounding 5 fun facts premise? Let’s take a look! Be sure to check out the video for the full effect of super-snarky delivery and sample clips from the “Vegan Facts” video! (clips are denoted below in “quotes”) Here is a summary of the my tutorial for making a successful and super-fun anti-vegan video! Also don’t mention the fact that the human brain runs primarily on glucose,  not proteins and fats, meaning higher starch consumption primarily fueled our brain growth. Ignore any articles, studies or scientists who point to our ancestors largely vegetarian diets. And most of all, be sure not to actually cite any studies supporting your claims outside of a screenshot of an article. And don’t worry about the fact that what our ancestors did or did not do has no bearing on the choices we make today. No one cares about logic. Definitely don’t link to a playlist like this with a medical doctor whose specialty is clinical nutrition responding to every major nutrient of concern when going vegan. It’s either plants or Lipitor, people. Then close it out this section with some vague comment that allows the viewers to continue eating exactly the way they are, like, “maybe the takeaway is that when it comes to nutrition, science will contradict itself eventually and what was going to make you live forever is now going to kill you and visa versa” totally sidestepping, of course, that your video is a shining example of the source of such confusion. Because this is an original video, remember and no vegan has ever heard the bacon argument. Genius. Make sure you make it sound like it’s really hard not to torture and kill animals for food. 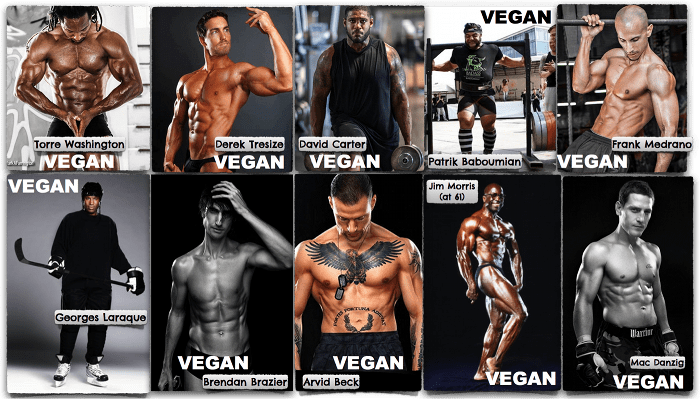 Make sure not to say how the majority of people who start an exercise program also quit, because people may realize it’s not the exercise or veganism’s fault – it’s the people. Really focus on this one shocking thing this one vegan said, and totally ignore the countless shocking things that every non-vegan pays for and supports with every bite they take. And if someone has the nerve to respond to your claims with facts, make sure to hang on to your ambiguous wording with a death grip. And whatever you do, don’t tell the truth. Now I don’t know what your motivation is for this video. We already know that the American Egg Board with the USDA’s approval paid $33,000 to pay popular food bloggers for positive pieces on the wonders of eggs. So maybe you got a little financial boost. If you want to support future videos, see the support page or join us in the Nugget Army on Patreon. Give the video a thumbs up and spread it around to debunk this propaganda. If you want some actual information on veganism, check out some of my videos linked below. Subscribe for more vegan content every Monday, Wednesday, and some Fridays. Now go live vegan, don’t buy the propaganda., and I’ll see you soon. 16] Vegetarian diet and cholesterol and triglycerides levels. by De Biase SG, Fernandes SF, Gianini RJ, Duarte JL. 18] Tolerable upper intake levels for trans fat, saturated fat, and cholesterol. by Trumbo PR, Shimakawa T.
20] The Garden of Eden–plant based diets, the genetic drive to conserve cholesterol and its implications for heartdisease in the 21st century. by Jenkins DJ, Kendall CW, Marchie A, Jenkins AL, Connelly PW, Jones PJ, Vuksan V.
24] Effects of very low-fat diets on anginal symptoms. by Sweeney M.
27] Biochemistry. 5th edition., Section 30.2 Each Organ Has a Unique Metabolic Profile by Berg JM, Tymoczko JL, Stryer L.
I am sorry that this is totally unrelated to the video (which was awesome) but I just noticed Ooby on your necklace and it almost made me cry. I am still thinking about her regularly. I hope you are halfway okay, Emily. I know you get less comments about her but we certainly haven’t forgotten her. Thank you SO much Sophia! That really means a lot to me. I know it can look in my videos like I’ve “moved on” but I have not. That necklace holds her ashes, so she is still with me and in every video. Really appreciate you mentioning her. Much love! Very good video. You made a very good point that if vegans give up after trying it for awhile that people who pledge to exercise also some give up after a while. I loved Sophia’s comment. We all think of Ooby when we watch your videos. We can never forget her. Thank you so much Sally Anne. And it’s so true! People blame veganism when people give up on so many things! Thanks for the time you put into doing this debunking, I’m seeing scores of Youtube videos now talking about how bad the vegan diet is for people and how unhealthy it is. What utter non sense. I guess ‘ignorance is no longer bliss’ it’s actually bad for the environment and all the inhabitants therein. The good news is we have an army of dedicated people like Emily who fight back and do it with REAL SCIENCE and not hearsay. “Isn’t it better to light a candle than to curse the darkness, all the darkness in the world cannot put out the light of a single candle. Emily and others are that light!